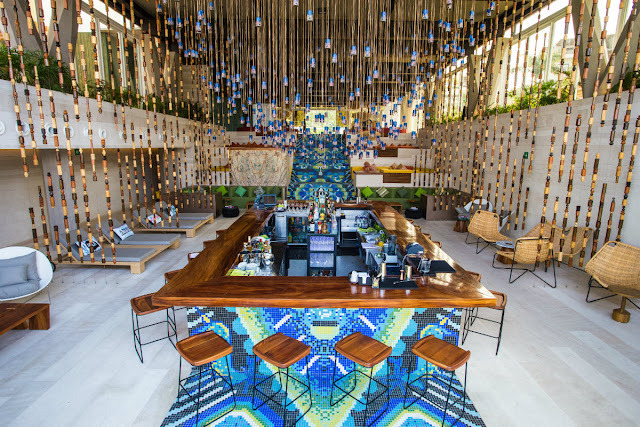 According to Reader’s Digest, the Riviera Nayarit’s boho-chic hotel held its own in the ranking of the best of the world from among palaces, luxury resorts, and skyscrapers. There are plenty of luxury resorts and hotels in this world with the style, innovation, and service that are a reflection of the essence of their location. 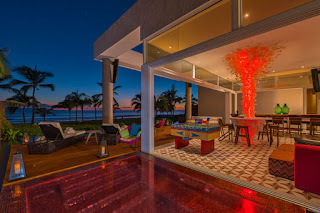 One of these hotel is the W Punta de Mita, located in the Riviera Nayarit. Since its inauguration in 2016 it has received multiple awards—and it’s no wonder! W Punta de Mita has been included in the ranking of the Top 10 Most Luxurious Hotels in the world by the prestigious US publication Reader’s Digest in its online edition. The article, written by travel writer Susan Campbell, calls itself a “decadent countdown of the world’s most expensive luxury hotels.” Among them is this hotel, located in the Los Veneros development, in fifth place, cheek by jowl with hotels of the likes of Abu Dhabi’s Emirates Palace; the Burj Al Arab Hotel in Dubai, Rome’s Westin Excelsior, and the legendary New York Plaza Hotel, to name a few. W Punta de Mita is inspired in the bohemian culture and ambiance on these beaches where surf is king, demonstrating a complete respect for the environment. It’s also a celebration of Huichol culture and Mexican roots and traditions. The hotel has 119 villas and one Extreme WOW Suite (the brand’s version of the traditional Presidential Suite); all of them are exquisitely decorated with contemporary Mexican touches, artisanal tile floors, and private balconies or patios. In 2016 it was nominated to the “Awards of Excellence” by Luxury Travel Advisor in the category of “Best Opening.” These annual awards span 26 categories across the globe. 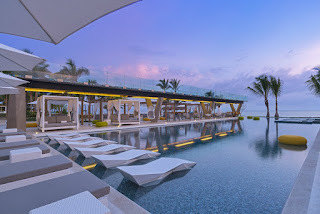 It’s due to this and so much more that the W Punta de Mita is positioned as one of the world-class brands in the Riviera Nayarit—a different alternative that meshes with its promotional concepts and helps make the destination’s hotel offer shine. 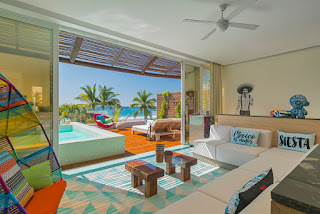 The Riviera Nayarit Convention and Visitors Bureau (CVB) and the Bahía de Banderas Hotel and Motel Association (AHMBB) reiterate their commitment to working intensely in order to attract more and better tourists to Mexico’s Pacific Treasure, with the backing of the Government of the State of Nayarit via the Tourism Promotion Trust (Fiprotur).